Black patent leather clutch bag with enameled lady bag brooch at pleated front. 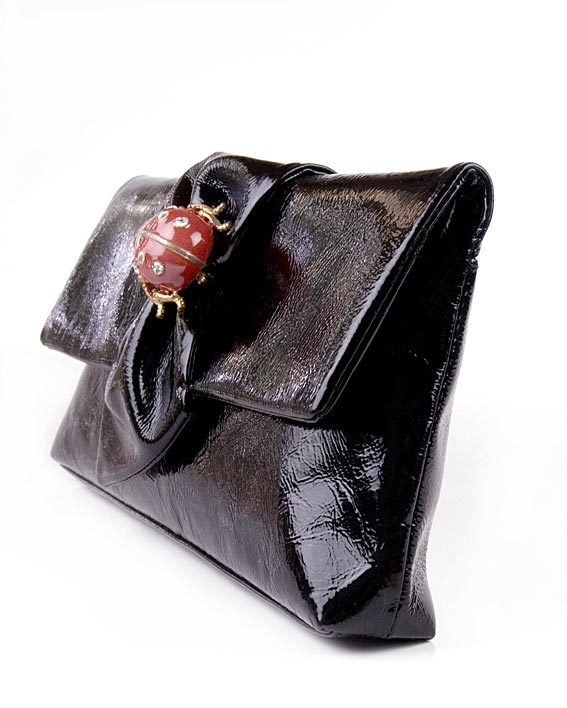 Kenneth Jay Lane bag has magnetic closure at flap. Black satin lined interior with a removable mirror. 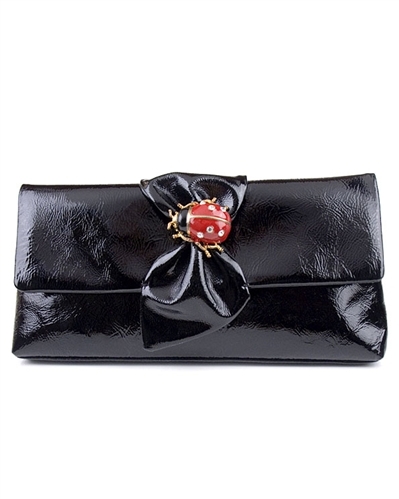 This Designer Clutch bag is available exclusively in the UK at Farfallina.net and also makes a great and unique gift. AS SEEN IN GRAZIA MAGAZINE. Length: 26cm / 10.3". Height: 14cm / 5.5".Width: 2.5cm / 1"